Previously the Bogan Shire operated as an unmanned waste depot that was open to the public 24 hours a day. New waste management licensing laws introduced by the NSW Environment Protection Agency meant that the council had to change the way it deals with waste; the existing tip was updated and improved to include a manned site office that is open five days a week. It would have been too costly to connect the site office to the electricity grid for such limited hours of operation. Being off-grid also fits with the ethos of a waste and recycling depot. 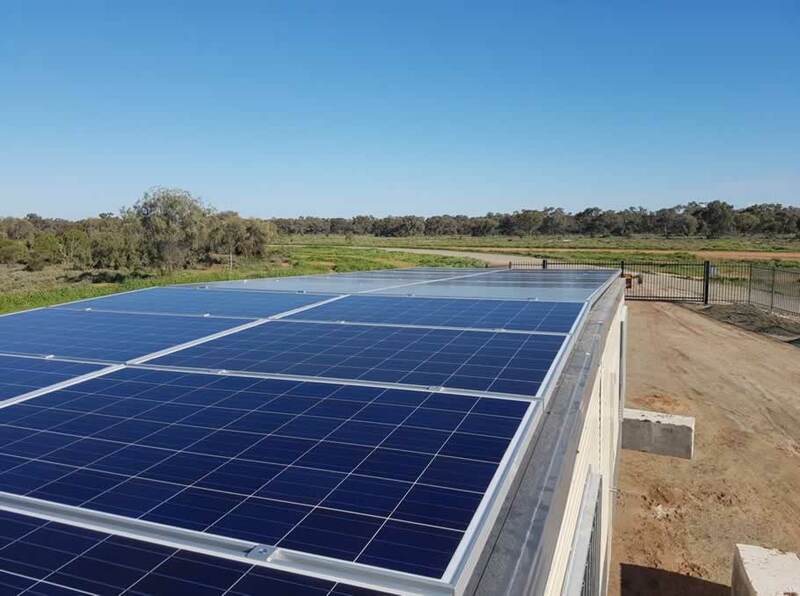 The Bogan Shire Council requested and accepted a quotation from Smart Commercial Solar within a 10 day turnaround from order to completed installation. 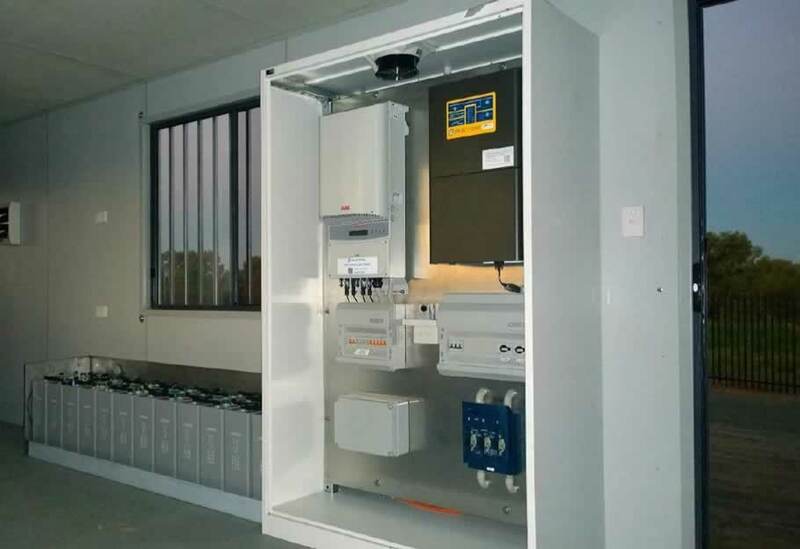 The off-grid system had to support air-conditioning, kitchen appliances, CCTV system with six cameras, water pumping, EFTPOS facilities, staff computers and basic lighting. The challenge was to size a system to cater for the loads and to fit the limited roof space. Smart Commercial Solar worked with the building manufacturer to ensure the roof had structural integrity to support the roof top solar. The solar array was mounted on vandal resistant framing and built out to the roof edges to get the largest array possible. By going off-grid, the Bogan Shire Council saved over $100,000 in connection costs to the electricity grid. They are also avoiding ongoing energy bills of approximately $1,861 per annum. According to Ty Robson from the Bogan Shire Council, “Smart Commercial Solar has done an exceptional job and we look forward to using it.” The installation includes the service of on-going monthly monitoring by Smart Commercial Solar reporting on client’s load, solar performance and system health.